How to design CAD bevel gears from known outside diameter? I'm working on a problem where I need to design and 3D print bevel gears to fit in the inside of a box and transmit a gear train around the inside corner, as roughly illustrated by the cross section image below. The box is composed of 3mm thick material and the distance from each gear axis hole to the edge of the box is 15mm. How can I design these bevel gears? I'm a fairly competent user of Solidworks and Autodesk Fusion 360 and I've attempted using the Toolbox design libraries and plugins respectively but both generate gears based on specific parameters (which do not include the outside diameter, or pitch diameter). 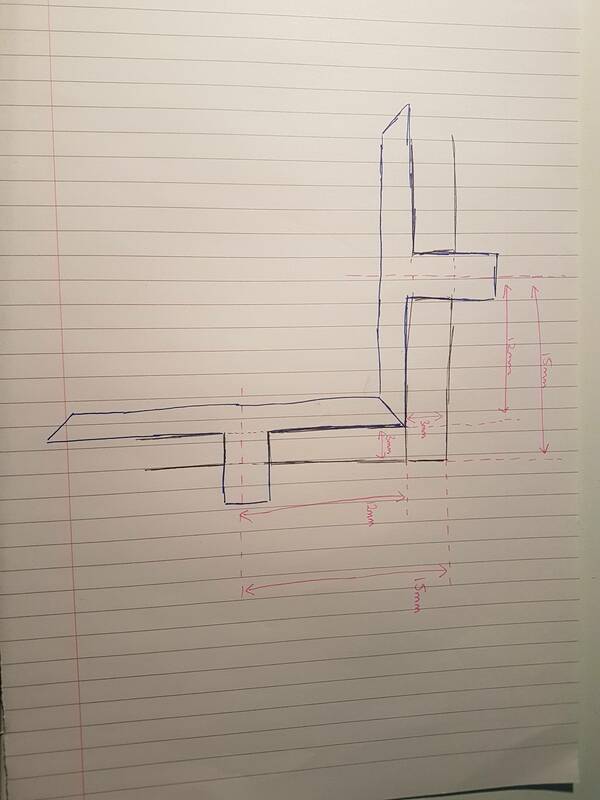 I'm working under the assumption that I'll need to draw them based on the outside diameter so that they fit nicely into the corner of the box - is there another way of doing this, or is there a way of designing them to these constraints? It's also worth noting that some of these parameters are restricted to certain values by Solidworks i.e. I can't enter any random value, only pick from a drop-down list. Browse other questions tagged gears cad 3d-printing solidworks or ask your own question.